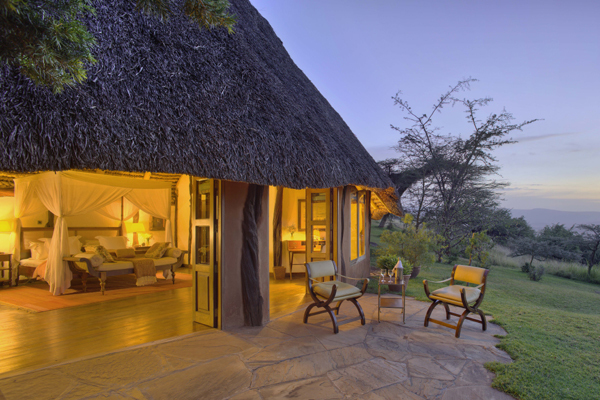 East Africa’s leading luxury safari accommodation provider, the Elewana Collection, has announced the latest addition to its wide-ranging portfolio - Kifaru House in Lewa Wildlife Conservancy. Previously, Kifaru House was only available for group bookings on an exclusive basis, however from April 1 visitors are now able to book rooms on an individual basis in line with the other Elewana properties. Retaining a feeling of exclusivity, Elewana Kifaru House is made up of five individual spacious bandas (private huts) complete with opulent four-poster beds and generous ensuite bathrooms. Each banda offers spectacular views of the plains below. The first banda has two bedrooms, one double and one twin, each ensuite, making it ideal for a family stay. Of the four further accommodations, each with one bedroom, there is one with a beautiful Victorian style bath and an outdoor shower, surrounded by thatch for privacy but open at the top to enjoy the sky above, perfect for honeymooners. Activities include day and night game drives, bush walks, cultural tours to a local village and archaeological site. There is also a heated swimming pool which affords breathtaking views of the surrounding plains, teeming with wildlife and reaching out to Mount Kenya. Guests at Elewana Kifaru House are welcome to visit the beating heart of the Conservancy, the state-of-the-art Joint Operations Centre, and meet the tracker dog team that provides anti-poaching support across Northern Kenya.